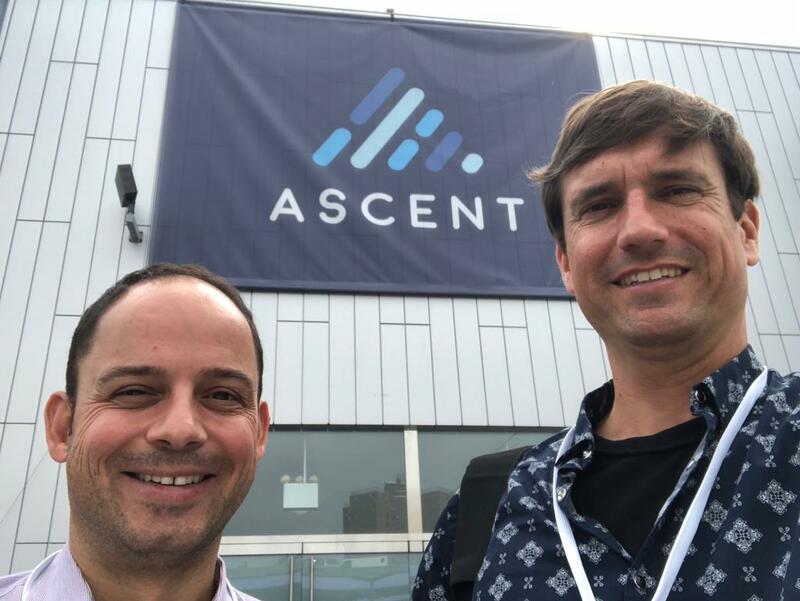 Bouquet.ai participated in the first annual Ascent Conference as a startup showcasing in the Startup Alley and a startup in Vertical 1: AI/Machine Learning, of the Pitch Competition. The following article was originally published on Ascent’s blog and lists Bouquet.ai as one of 19 other leading AI companies in 2018. Formerly the property of science fiction, Artificial Intelligence (AI) is a rapid growing vertical across multiple industries: automotive, media, robotics, and more. Whether or not you’re in the camp of people who’s seen Terminator too many times to feel cool about any of this (here’s looking at you Elon Musk), or you’re super stoked about self-driving cars, these are the Top 20 AI companies to watch out for in 2018. Bouquet.ai is the creator of Aristotle, your personal AI analyst, always available to provide meaningful answers to your data questions. To be clear, this isn’t an analytics tool. This is like having an analyst friend, or coworker right next to you. For companies that maybe can’t afford to hire an analyst, or need quicker turn arounds on data interpretation, getting answers at work is now as easy as chatting with a friend. Aristotle is currently available via Facebook Messenger, Slack and Alexa. Watch any sports event for more than a minute and you’ll see company logos and names. Sometimes they’re on hats, or even signs on the back of a ball field. If you’ve ever wondered what these sponsorships are really worth to the companies that partner together with the teams and players, you’re not alone. Currently working with Pepsi, Philadelphia 76ers, Cleveland Browns, and Comcast SportsNet Chicago, Block Six Analytics’ (B6A) analytics-fueled technology platforms enable companies to use data to maximize ROI and ROO on their marketing spend across different sports sponsorship channels. Backed by Ford, this startup is tackling one of the most challenging applications in computer science, robotics and artificial intelligence: vehicles that are fully autonomous and able to navigate city streets. According to a write-up in the WSJ, “Ford’s partnership with Argo is unique: The auto maker didn’t acquire the startup outright, choosing instead to become its client and financial backer.” They aim to have fully autonomous cars ready for commercial use by 2021. Helping organizations deliver personalized learning at scale, Videoken is a collaborative social learning platform, that lets indexes and maps videos to increase interactivity. It also supports bite-sized learning by employees on specific topics of interest to them, quiz integration, and peer-to-peer learning through its powerful video search, indexing, curation and sharing capabilities. You can even demo the tech on their website. 7QUBES is an Artificial Intelligence (AI) Empowered Platform that utilizes Distributed Ledger Technology (DLT) to facilitate smart contracts, secure payment transactions, logistics, and maintain data security. With car crashes in the US on the rise and the ineffectiveness of cell phone bans on distracted driving, TeleLingo is an AI startup out to save the lives of drivers by observing and modeling their attention in order to prevent crashes caused by distraction and drowsiness. Their flagship solution, dreyev, is a risk mitigation system which includes the ability to detect safe driving conditions and support for simple mind-stimulating spoken interactions. Coderblock is the first AI Italian marketplace dedicated to recruitment that favors the encounter between companies and digital freelancers. Coderblock gives brands the opportunity to access the best selection of experts, selected from hundreds of qualified freelancers. SoundHound is an audio and speech recognition company. It develops voice-recognition, natural language understanding, sound-recognition and search technologies. They believe that integrating voice and AI doesn’t have to mean giving up you customers your customers and brand. They integrate voice and conversational intelligence into products through their own platform. Backed by Accel Partners and SAIF Partners, CrowdANALYTIX builds scalable AI solutions for enterprises globally through their two primary custom platforms: dataX.ai and CrowdANALYTIX. DataX.ai is an AI driven platform for auto-creating context-aware product attributes and meta-tags for retail product catalogs. CrowdANALYTIX is a crowdsourcing platform for building customized AI solutions built by a global community of data scientists. Relationships take work to work. That’s what therapists say, but none of us has a relationship counselor on hand 24/7. Duadle is an AI “Suggestion Engine” app that uses your daily relationship data to identify if there are any problems in your relationship and then makes appropriate suggestions to help you and your partner. It also reminds you of important dates and moments special to your relationship. It’s currently available to download through Google Play and the App Store. Pony.ai is a startup on a mission to revolutionize the future of transportation by building the safest and most reliable technology for autonomous vehicles. Armed with the latest breakthroughs in artificial intelligence, they aim to deliver their technology at a global scale. Their AI technology enables vehicles to be intelligent, so that they can comfortably handle complicated city driving conditions with other vehicles, bicycles, and even pedestrians. According to their LinkedIn profile, Wave Computing is a VC-backed startup that is revolutionizing the machine learning industry. The company has developed a patented, native dataflow solution that brings deep learning to your data wherever it may be, from the datacenter to the cloud. Embedding advanced neurotechnology into everyday life, Intheon develops web APIs for plug-and-play neurotechnology. They offer a middleware platform for biosignal processing and analysis, which is easily integrated into existing mobile and desktop applications through a cloud API. This allows for an acceleration scientific research and empowers developers to create transformative brain- and body-aware applications impacting interactive technology, performance, health and wellness, entertainment, marketing, and more. Having closed more than $200M in investments from top-tier investors such as Andreessen Horowitz and JP Morgan Chase, Anki is a leading consumer robotics company, pushing the boundaries of expectations for what an affordable and accessible consumer robot can do today. They bring objects to life through robotics and artificial intelligence, allowing people to build relationships with technology that feel a little more human. SenseTime is focused on innovative computer vision and deep learning technologies. They’ve applied for over 500 patents, 90% of which are original inventions, in approximately 10 countries and regions all over the world. According to their LinkedIn company description, SenseTime has established China’s largest and only self-developed deep learning supercomputing center, establishing itself as the largest supplier of AI algorithms in the country. Savitude uses powerful AI to curate clothing assortments into personalized boutiques built for each user’s shape and proportion. Licensed in a SaaS B2B model to increase product engagement and conversion, their platform takes product data from the images on retailers’ eCommerce sites and matches it with shoppers that share the same body shape. The results enable shops to recommend the right designs for each individual shape, and cut down on returns considerably. Product engagement and conversion to purchase are both doubled. Built for data-first companies, WorkFusion’s AI-powered software automates high-volume processes by combining AI, RPA and people into one intuitive platform. According to their LinkedIn company description, top enterprises within global banking, insurance, healthcare and other data-intensive industries choose WorkFusion for its integrated offering, industry-leading total cost of ownership and native machine learning. If you’ve ever worked with any kind of media editing for more than a minute, you know that naming, tagging, and then searching for your files is a literal nightmare. Axle ai is making video search a no-brainer by bringing the power of artificial intelligence and affordable, simple media management to video teams. With the increasing power of artificial intelligence and machine learning, it’s now possible to tag and search for material automatically in your library of media, even if you have thousands of hours of footage and hundreds of terabytes of footage. And axle ai is harnessing every bit of it. By combining insights from generative probabilistic models and systems neuroscience, Vicarious is developing artificial general intelligence for robots. According to their LinkedIn company profile, their architecture trains faster, adapts more readily, and generalizes more broadly than AI approaches commonly used today. It also helps to have both Elon Musk and Mark Zuckerberg backing you. Operating at the intersection of biology, technology, and medicine, Freenome is an AI genomics company on a mission to empower everyone with the tools they need to detect, treat, and ultimately prevent their diseases. Having raised $78 million from investors such as Andreessen Horowitz, Google Ventures, Polaris Partners, and Founders Fund, Freenome is developing noninvasive blood tests to detect early-stage cancer and improve precision oncology treatments for patients everywhere.